Each month, our resident Children's Librarian, Julie Booker, brings us a new view from the stacks. Story and visual art are intertwined in the following titles. 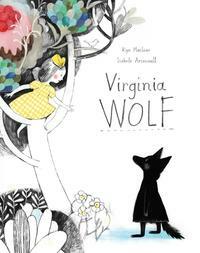 Whether fiction or non-fiction, each appeals to the young artist in different ways. 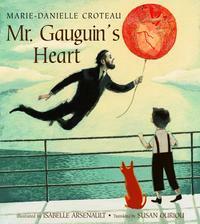 The picture book Mr. Gauguin’s Heart, by Marie-Danielle Croteau, illustrated by Isabelle Arsenault, reveals a crucial moment in the life of a young Paul Gauguin. When his family moves, taking an ocean liner from Denmark to Peru, Paul is comforted by his imaginary dog. But on the journey, his father is “carried away,” his tearful mother explains. Paul pictures him floating away holding onto a balloon. The mother tries to explain further by showing him the setting sun, slipping into the ocean. But each day Paul waits with his imaginary pup at the ship’s bow for sunrise. He meets an artist who, when they reach Peru, teaches him to paint his father in a way that he’ll always be remembered. 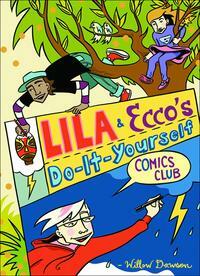 With the explosion of graphic novels in libraries, Lila and Ecco’s Do-It-Yourself Comics Club, by Willow Dawson, is a true gem for grades 4 and up. The reader follows Ecco, Lila, and Lila’s tag-along sister, who attend a Comics Convention, where they are given a booklet outlining how to make comics. It’s written, aptly, in the form of a graphic novel; each technique the characters tackle is illustrated through Dawson’s handiwork. The whole process is revealed: development of ideas, character outlines, drawing techniques, lettering, word bubble styles, inking, as well as the different components of the graphic form, such as word balloons, panels, gutters, spreads, splashes. In the end, the readers gets a glimpse of three very different comics (both fiction and non-fiction) created by each of the characters. Picturescape, by Elisa Guilierrez, is a wordless picture book that makes Canada’s most well-known paintings accessible to the youngest reader. It begins with a boy waking to a note on his calendar: “A day at the art gallery.” Once inside the museum, he hitches a ride on Emily Carr’s Raven, visiting her lush West Coast forests. Then flies over Lauren Harris’ icebergs, pulled along by a red balloon across Kurelek’s prairies, to stand beside Tom Thomson’s Jack Pine. He then cycles past J.P. Lemieux’s nuns in Quebec. On horseback, he then races headlong into Alex Colville’s oncoming train, through Pratt’s Newfoundland landscapes to swim on the back of Blackwood’s whale. It’s a daylong excursion, from West to East, and then home to bed. 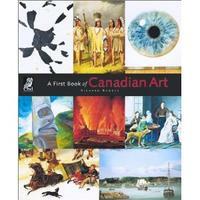 A First Book of Canadian Art, by Richard Rhodes, is a visually beautiful non-fiction overview of key works and players in the Canadian art world for grades 4 and up. 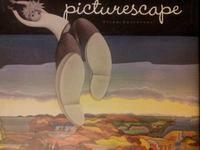 Each two-page spread tackles one artist or style, averaging four illustrations. It begins over 1000 years ago with First Peoples, then moves onto art in New France, military topographers, Kane’s natives and Krieghoff’s early settlers in the 1800s. There’s a sweep of Canadian Impressionism, the Group of Seven, and Modern Art, including Colville, Wieland, Snow, Curnoe. The manageable amount of text is engaging, with a nod to all regions and mediums, including video art, photography, and modern native. This book tweaks curiosity and invites further investigation. 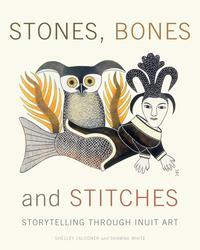 Stones, Bones & Stitches: Storytelling Through Inuit Art, by Shelley Falconer and Shawna White, also a non-fiction publication for grades 4–6, showcases work in the McMichael Art Gallery, specifically six artists from the Far North. Tunnillie, a Baffin Island carver, sets the tone for the book: “The story or idea behind my sculpture is more important than the actual technique.” The amount of text is broken down into small paragraphs, under headings pertinent to each artist’s process. It’s peppered with facts about the North, such as the role of T.B., the origins of Inuit names, immigration, types of housing, stone cut printing processes. It also explains vocabulary such as umiak, ulu, inukshuk. But beyond facts and information, this book list will inspire the reader to look for the story behind the art.